5 seconds after pressing the SET button, the station will continue to play, but will not be locked into push-button memory. You may add a second FM station to each push button by repeating the above procedure with this exception: Press the SET button twice and SET 2 will appear in the radio display window. Each button can be set for SET 1 and SET 2 in the FM mode. This allows for 10 FM stations to be locked into push button memory. The stations stored in SET 2 memory can be selected by pressing the push button twice. When you are receiving the MW or LW station that you wish to commit to push-button memory, press SET 1 button. SET 1 will appear in the radio display window. Select the push-button you wish to lock on this station and press and release that button. The following RDS functions can be selected while in radio mode by pushing the appropriate button. Briefly press the Time button to change the display between radio frequency and time. To set the "HOME CLK" use a ballpoint pen or similar object to press the hour (H) or minute (M) buttons on the radio, The time setting will increase each time you press the button. Press any other button to exit from the clock setting mode. Any time the hour (H) or minute (M) buttons are pressed when in the "RDS CLK" mode the clock will automati­cally switch to the "HOME CLK" mode and only the home time will be set. Pressing and holding the TIME button for 2 seconds will toggle the clock between "RDS CLK" and "HOME CLK". The display will indicate which clock is activated. The "RDS CLK" is only updated by the signal transmitted from a radio station with an RDS signal. Pressing the ╥└ button will enable the Traffic Information system. If the current station does not have the TP function or is not a RDS station the radio will beep and display "NO ╥└" and then go into the ╥└ seek mode. During Tape/CD mode the ╥└ will give priority to traffic announcements from the last tuned ╥└ station. ╥└ mode is always off in the MW/LW mode. During ╥└ seek mode the radio display will flash "╥└ SEEK". If no TP station is found after one cycle of the search the radio will display "NO ╥└" and then turn the ╥└ feature off. By pressing the SEEK button when the PTY icon is displayed, the radio will be tuned to the next frequency station with the same selected PTY name. The PTY function only operates when in the FM mode. If a preset button is activated while in the PTY (Program Type) mode, the PTY mode will be exited and the radio will tune to the preset station. Pressing the AF LOC button will toggle the radio display as follows: LOC ON »» AF OFF »» LOC OFF. The radio display will indicate when the LOC and AF are activated. AF will automatically tune to another frequency of the same national program when the signal quality of the currently tuned frequency becomes poor. LOC limits AF to only tune to another station within the same region code to ensure the program remains local. Insert the cassette with the exposed tape side toward the right and the mechanical action of the player will gently pull the cassette into the play position. NOTE: When subjected to extremely cold temperatures, the tape mechanism may require a few minutes to warm up for proper operation. Sometimes poor playback may be experienced due to a defective cassette tape. Clean and demagnetize the tape heads at least twice a year. Press the top of the PTY button to change tape play direction. The display will confirm the selected tape play direction. The time is always displayed. Press the SEEK button up for the next selection on the tape and down to return to the beginning of the current selection. Press the SEEK button up or down to move the track number to skip forward or backward 1 to 7 selections. Press the SEEK button once to move 1 selection, twice to move 2 selections, etc. the display will show the total number of times the SEEK button was pushed. The SEEK function will be cancelled by pressing either the FF/RW or FM/MW/LW button. Press the FF button up momentarily to advance the tape in the direction that it is playing. The tape will advance until the button is pressed again or the end of the tape is reached. At the end of the tape, the tape will play in the opposite direction. Press the RW button down momentarily to reverse the tape direction. The tape will reverse until the button is pressed again or until the end of the tape is reached. At the end of the tape, the tape will play in the opposite direction. Press the Eject Tape button and the cassette will disen­gage and eject from the radio. If a standard 70 u (metal) tape is inserted into the player, the player will automatically select the correct equaliza­tion. If ignition power or the radio ON/OFF switch are turned off, the pinch roller will automatically retract to protect the tape from any damage. When power is restored to the tape player, the pinch roller will automatically reengage and the tape will resume play. ├1├1 The Dolby Noise Reduction System* is on when-4^»l ever the tape player is on, but may be switched on/off. To turn the Dolby Noise reduction System on/off: Press the Dolby NR button (button 2) after you insert the tape. The NR light in the display will go off when the Dolby System is off. * "Dolby" noise reduction manufactured under license from Dolby Laboratories Licensing Corporation. Dolby and the double-D symbol are trademarks of Dolby Labo­ratories Licensing Corporation. NOTE: The ignition switch must be in the ON or ACC position and the volume control ON before the CD player will operate. You may either insert or eject a disc with the radio OFF. If you insert a disc with the ignition ON and the radio OFF, the time of day will be displayed. If the volume control is ON, the unit will switch from radio to CD mode and begin to play when you insert the disc. The display will show the track number and index time in minutes and seconds. Play will begin at the start of track 1. Press the top of the SEEK button for the next selection on the CD. Press the bottom of the button to return to the beginning of the current selection, or return to the beginning of the previous selection if the CD is within the first 10 seconds of the current selection. Press the EJT CD button and the disc will unload and move to the entrance for easy removal. The unit will switch to the radio mode. If you do not remove the disc within 15 seconds, it will be reloaded, and the display will remain unchanged in whatever mode it is in. Press FF (Fast Forward) and the CD player will begin to fast forward until FF is released. The RW ( Reverse) button works in a similar manner. Press this button while the CD is playing to activate Random Play. This feature plays the selections on the compact disc in random order to provide an interesting change of pace. Press the SEEK button to move to the next randomly selected track. Press button 4 a second time to stop Random Play. Press this button to select between CD player, Remote CD changer, and Tape player. Press this button to change the display from elapsed CD playing time to time of day. NOTE: Power to operate the radio is supplied through the ignition switch. It must be in the ON or ACC position to operate the radio. The volume control/power button pops out when pressed, this turns the sound system ON in the mode last used. Pushing the button back in turns the sound system OFF. The electronic volume control turns continuously (360 degrees) in either direction without stopping. Turning the volume control to the right increases the volume and to the left decreases it. For your convenience, the volume can be turned down, but not up, when the audio system is off and the ignition is ON. make another selection. Holding the button will bypass stations without stopping until you release it. Press the TUNE control up or down to increase or decrease the frequency. If the button is pushed and held, the radio will continue to tune until the button is released. The frequency will be displayed and continu­ously updated while the button is pushed. When you are receiving a station that you wish to commit to push-button memory, press the SET button. The symbol SET 1 will now show in the display window. Select the "1-5" button you wish to lock onto this station and press and release that button. If a button is not selected within 5 seconds after pressing the SET button, the station will continue to play but will not be locked into push-button memory. stations to be locked into push-button memory. The stations stored in SET 2 memory can be selected by pressing the push-button twice. Every time a preset button is used a corresponding button number will be displayed. The balance control adjusts the left-to-right speaker bal­ance. Press the BAL button in and it will pop out. Adjust the balance and push the button back in. The fade control provides for balance between the front and rear speakers. Press the FADE button in and it will pop out. Adjust the balance and push the button back in. The tone controls consist of 2 separate bands. The bass band is on the left, and the treble band is on the right. Each band is adjusted by a slider control with a detent at the mid-position. Moving the control up or down in­creases or decreases amplification of that band. The mid position provides a balanced output. Press the AM/FM button to change from AM to FM. The operating mode will be displayed next to the station frequency. The display will show ST when a stereo station is received in the FM mode. Press the MODE button to select between the cassette tape player, CD changer, or the Satellite Radio (if equipped). When the Satellite Radio (if equipped) is selected "SA" will appear in your radio display. A CD or tape may remain in the player while in the Satellite or radio mode. With ignition OFF and the sound system OFF, you can eject the tape cassette by pushing the EJECT button. You can turn the tape player ON by inserting a cassette or activating the MODE button (with a cassette in the radio), but only when the ignition and radio are on. Each time a cassette is inserted the tape player will begin playing on the side of the cassette that is facing up in the player. Pressing the SEEK button while playing a tape will start the Music Search mode. Press the SEEK button up for the next selection on the tape and down to return to the beginning of the current selection, or return to the beginning of the previous selection if the tape is within the first 5 seconds of the current selection. The SEEK symbol appears on the display when Music Search is in operation. Music Search shuts off automati­cally when a selection has been located. Press the SEEK button up or down to move the track number to skip forward or backward 1 to 7 selections. Press the SEEK button once to move 1 selection, twice to move 2 selections, etc. Pressing the TUNE button up or down momentarily activates Fast Forward or Rewind and makes the direc­tional arrows appear on the display. To stop Fast Forward or Rewind, press the TUNE button again. Press the time button to toggle between station frequency and time of day. Pressing this button while playing a cassette tape will change the side of the tape being played. Pushing the Number 2 Pre-set button when a tape is playing deactivates the Dolby Noise Reduction System*. When Dolby is ON, the NR symbol appears on the display. Each time a tape is inserted the Dolby will turn ON. This radio is compatible with a remote mounted CD changer available through Mopar Accessories. The fol­lowing instructions are for the radio controls that operate this CD changer. To activate the CD changer, press the MODE button until CD information appears on the display. While the CD changer is playing, press the NUMBER 1 push-button or the NUMBER 5 push-button to select a disc numbered higher or lower than the one currently being played. Press the SEEK up or down to select another track on the same disc. A SEEK symbol will appear on the display. Press and hold the FF button for fast forward. Press and hold the RW button for fast reverse. The audio output can be heard when fast forward and fast reverse are activated. Press the Random button to play the tracks on the selected disc in random order for an interesting change of pace. Random can be cancelled by pressing the button a second time or by ejecting the CD from the changer. When driving over a very rough road, the CD player may skip momentarily. Skipping will not damage the disc or the player, and play will resume automatically. As a safeguard and to protect your CD player, one of the following warning symbols may appear on your display. A CD HOT symbol indicates the player is too hot. CD HOT will pause the operation. Play can be resumed when the operating temperature is corrected or another MODE is selected. Your radio has been designed to display certain messages when a problem is detected with the CD player. No discs in magazine. Load discs in magazine. Player overheating. Allow to cool down. Press the ON/VOL control to turn the radio on. Turn the volume control clockwise to increase the volume. Press and release the SEEK button to search for the next station in either the AM or FM mode. Press the top of the button to seek up and the bottom to seek down. The radio will remain tuned to the new station until you make another selection. Holding the button in will by­pass stations without stopping until you release it. Press the TUNE control up or down to increase or decrease the frequency. If you press and hold the button, the radio will continue to tune until you release the button. The frequency will be displayed and continu­ously updated while the button is pressed. Press the AM/FM button to change from AM to FM. The operating mode will be displayed next to the station frequency. The display will show ST when a stereo station is received. When you are receiving a station that you wish to commit to push-button memory, press the SET button. SET 1 will show in the display window. Select the "1-5" button you wish to lock onto this station and press and release that button. If a button is not selected within 5 seconds after pressing the SET button, the station will continue to play but will not be locked into push-button memory. You may add a second station to each push-button by repeating the above procedure with this exception: Press the SET button twice and SET 2 will show in the display window. Each button can be set for SET 1 and SET 2 in both AM and FM. This allows a total of 10 AM and 10 FM stations to be locked into push-button memory. The stations stored in SET 2 memory can be selected by pressing the push-button twice. Every time a preset button is used a corresponding button number will be displayed. Press the TIME button to change the display between radio frequency and time. NOTE: Changes or modifications not expressively ap­proved by the party responsible for compliance could void the user’s authority to operate the equipment. This CD player will accept 4 % inch (12 cm) discs only. The use of other sized discs may damage the CD player mechanism. If you insert a disc with the ignition ON and the radio OFF, the display will show the time of day. If the power is ON, the unit will switch from radio to CD mode and begin to play when you insert the disc. The display will show the track number and index time in minutes and seconds. Play will begin at the start of track one. Press the top of the SEEK button for the next selection on the CD. Press the bottom of the button to return to the beginning of the current selection, or return to the beginning of the previous selection if the CD is within the first second of the current selection. Press the EJT button and the disc will unload and move to the entrance for easy removal. The unit will switch to the radio mode. If you do not remove the disc within 15 seconds, it will be reloaded. The unit will continue in radio mode. The disc can be ejected with the radio and ignition OFF. Press the RND (button 4) button while the CD is playing to activate Random Play. This feature plays the tracks on the selected disc in random order to provide an interest­ing change of pace. Press the RND (button 4) button a second time to stop Random Play. Press the MODE button repeatedly to select between the CD player, the optional remote CD changer and the Satellite Radio (if equipped). When Satellite Radio (if equipped) is selected "SA" will appear in your radio display. A CD or tape may remain in the player while in the Satellite mode. Press the TIME button to change the display from elapsed CD playing time to time of day. Press the ON/VOL control to turn the radio on. Turn the volume control to the right to increase the volume. NOTE: The volume control knob will need to be pushed out for the ON position and in for the OFF position. The Balance control adjusts the left-to-right speaker bal­ance. Push in the button and it will pop out. Adjust the balance and push the button back in. The Fade control provides for balance between the front and rear speakers. Push in the button and it will pop out. Adjust the balance and push the button back in. Slide the Bass and/or Treble controls up or down to adjust the sound for the desired tone. Press the top of the AM/FM CD/CD-C button to switch between AM and FM. When you are receiving a station that you wish to commit to push-button memory, press the SET button. SET 1 will now show in the display window. Select the "1-5" button you wish to lock on this station and press and release that button. If a button is not selected within 5 seconds after pressing the SET button, the station will continue to play but will not be locked into push-button memory. memory. The stations stored in SET 2 memory can be selected by pressing the push-button twice. To set the clock, use a ballpoint pen or similar object to press the hour (H) or minute (M) buttons on the radio, The time setting will increase each time you press the button. Press any other button to exit from the clock setting mode. Pressing the (VA) button during tape mode will cause the other side of the tape to be played. The display will confirm the selected tape play direction. The time is always displayed. Press the TAPE button to select the Tape mode. Press the SEEK button up or down to move the track number to skip forward or backward 1 to 7 selections. Press the SEEK button once to move 1 selection, twice to move 2 selections, etc. the display will show the total number of times the SEEK button was pushed. The SEEK function will be cancelled by pressing either the FF/RW or AM/FM button. Press the RW button down momentarily to reverse the tape direction. The tape will reverse until the button is pressed again or until the end of the tape is reached. At the end of the tape, the tape will play in the current direction. Press the EJT TAPE button and the cassette will disen­gage and eject from the radio. The Dolby Noise Reduction System* is on when­ ever the tape player is on, but may be switched on/off. If you insert a disc with the ignition ON and the radio OFF, the disc icon will be displayed in addition to the time of day. Press the top of the SEEK button for the next selection on the CD. Press the bottom of the button to return to the beginning of the current selection, or return to the beginning of the previous selection, if the CD is within the first second of the current selection. Press the EJT CD button and the disc will unload and move to the entrance for easy removal. The unit will switch to the radio mode. Press FF (Fast Forward) and the CD player will begin to fast forward until FF is released. The RW (Reverse) button works in a similar manner. Press the RND button while the CD is playing to activate Random Play. This feature plays the selections on the compact disc in random order to provide an interesting change of pace. Press TUNE FF to fast forward through the tracks. Press the RND button a second time to stop Random Play. Press the bottom of the AM/FM CD/CD-C button to switch between the CD and CD changer (if equipped). Satellite radio uses direct satellite to receiver broadcast­ing technology to provide clear digital sound, coast to coast. The subscription service provider is Sirius™ Satel­lite Radio. This service offers up to 100 channels of music, sports, news, entertainment, and programming for chil­dren, directly from its satellites and broadcasting studios. With the ignition switch in the ACCESSORY position and the radio OFF, press the Tape Eject or CD Eject (depend­ing on the radio type) and Time buttons simultaneously for 3 seconds. The first four digits of the twelve-digit ESN/SID number will be displayed. Press the SEEK UP button to display the next four digits. Continue to press the SEEK UP button until all twelve ESN/SID digits have been displayed. The SEEK DOWN will page down until the first four digits are displayed. The radio will exit the ESN/SID mode when any other button is pushed, the ignition is turned OFF, or 5 minutes has passed since any button was pushed. With the ignition switch in the ACCESSORY position and the radio OFF, press the CD Eject and TIME buttons simultaneously for 3 seconds. All twelve ESN/SID num­bers will be displayed. The radio will exit the ESN/SID mode when any other button is pushed, the ignition is turned OFF, or 5 minutes has passed since any button was pushed. Press the MODE button repeatedly until "S A" appears in the display. A CD or tape may remain in the radio while in the Satellite radio mode. • After 3 seconds, the current channel name and channel number will be displayed for 5 seconds. then be displayed for 5 seconds. A CD or tape may remain in the radio while in the Satellite radio mode. Press and release the SEEK or TUNE buttons to search for the next channel. Press the top of the button to search up and the bottom of the button to search down. Holding the TUNE button causes the radio to bypass channels until the button is released. Press and release the SCAN button (if equipped) to automatically change channels every 7 seconds. The radio will pause on each channel for 7 seconds before moving on to the next channel. The word "SCAN" will appear in the display between each channel change. Press the SCAN button a second time to stop the search. NOTE: Channels that may contain objectionable con­tent can be blocked. Contact Sirius Customer Care at 888-539-7474 to discuss options for channel blocking or unblocking. Please have your ESN/SID information available. In addition to the 10 AM and 10 FM pre-set stations, you may also commit 10 satellite stations to push button memory. These satellite channel pre-set stations will not erase any AM or FM pre-set memory stations. Follow the memory pre-set procedures that apply to your radio. 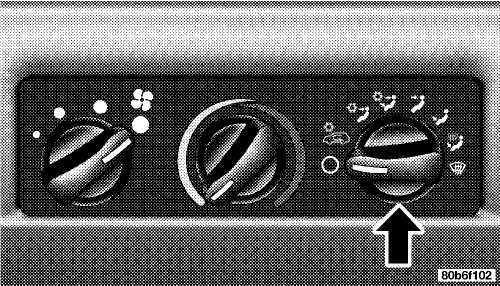 Follow the PTY button instructions that apply to your radio. When the desired program type is obtained, press the "SCAN" button within five seconds. The radio will play 7 seconds of the selected channel before moving to the next channel of the selected program type. Press the "SCAN" button a second time to stop the search. NOTE: Pressing the "SEEK" or "SCAN" button while performing a music type scan will change the channel by one and stop the search. Pressing a pre-set memory button during a music type scan, will call up the memory channel and stop the search. When the desired program is obtained, press the "SEEK" button within five seconds. The channel will change to the next channel that matches the program type selected. To ensure optimum reception, do not place items on the roof around the rooftop antenna location. Metal objects placed within the line of sight of the antenna will cause decreased performance. Larger luggage items should be placed as far forward as possible. Do not place items directly on or above the antenna. Satellite reception may be interrupted due to one of the following reasons. form of short audio mutes. slackness and dust when it is not in use. and magnetic fields such as the radio speakers. adhering flatly to the cassette. 5. A loose tape should be corrected before use. To rewind a loose tape, insert the eraser end of a pencil into the tape drive gear and twist the pencil in the required directions. Maintain your cassette tape player. The head and capstan shaft in the cassette player can pick up dirt or tape deposits each time a cassette is played. The result of deposits on the capstan shaft may cause the tape to wrap around and become lodged in the tape transport. The other adverse condition is low or "muddy" sound from one or both channels, as if the treble tone control were turned all the way down. To prevent this, you should periodically clean the head with a commercially available WET cleaning cassette. As preventive maintenance, clean the head about every 30 hours of use. If you wait until the head becomes very dirty (noticeably poor sound), it may not be possible to remove all deposits with a simple WET cleaning cassette. wiping from center to edge. disc; avoid scratching the disc. Store the disc in its case after playing. Do not expose the disc to direct sunlight. Under certain conditions, the cellular phone being On in your vehicle can cause erratic or noisy performance from your radio. This condition may be lessened or eliminated by relocating the cellular phone antenna. This condition is not harmful to the radio. If your radio performance does not satisfactorily "clear" by the repositioning of the antenna, it is recommended that the radio volume be turned down or off during cellular phone operation. 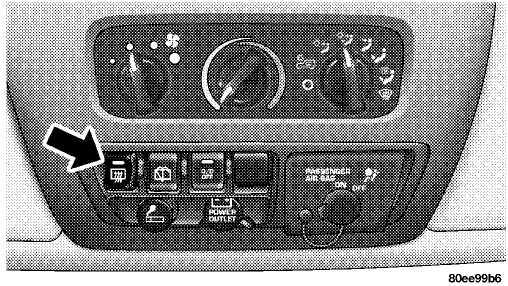 The controls for the heating and ventilation system in this vehicle consist of three rotary control knobs. These com­fort controls can be set to obtain desired interior condi­tions. NOTE: For the HVAC to operate efficiently and reduce the possibility of fog build up on the interior of the windows, the air exhausters should be kept clear at all times. The air exhausters are the slots located on the rear tailgate. In snowy weather, always clear the air inlet grille at the base of the windshield before driving your vehicle. $} The blower switch is the rotary knob to the left of the controls. The blower speed will increase as the knob is turned clockwise. There are four blower speeds. NOTE: The blower motor will run until the system is turned to the "Off" ("O") position or the ignition is turned OFF. The temperature control is the center knob located on the climate controls. It controls the temperature of the air delivered to the passenger compartment. The "Blue" area on the left side of the control indicates cooler temperatures while the "Red" area indicates warmer temperatures. Q This position turns off the blower motor. In this mode, there may be some slight air flow from the floor outlets, side window outlets, and defrost outlet located at the base of the windshield. Air comes from the outlets in the instrument panel. Each of these outlets can be individually adjusted to direct the flow of air. Also, a slight amount of airflow may be noticed at the defrost outlet located at the base of the windshield. amount of airflow may be noticed at the defrost outlet located at the base of the windshield. to defrost or defog your windshield. The blower switch is the rotary knob to the left of the controls. Turn the knob to the right to one of the four positions to obtain the blower speed you desire. Q Turning the rotary knob to this position shuts off the blower motor and outside air will not come through any outlet. Select this position when the outside air con­tains smoke, odors, high humidity, or if rapid cooling is desired. This feature allows for recir­culation of interior air only. Air flows through the panel outlets in this mode. Also, a slight amount of airflow may be noticed at the defrost outlet located at the base of the windshield. the base of the windshield. Outside air flows through the air conditioning system, and then through the outlets located in the instrument panel and those located on the floor. Also, a slight amount of airflow may be noticed at the defrost outlet located at the base of the windshield. Outside air comes from the outlets in the instru­ment panel. Each of these outlets can be individu­ally adjusted to direct the flow of air. Also, a slight amount of airflow may be noticed at the defrost outlet located at the base of the windshield. Outside air comes from the floor outlets. Also, a slight amount of airflow may be noticed at the defrost outlet located at the base of the windshield. Air comes from the floor and defrost outlets. This mode works best in cold or snowy conditions. It allows you to stay comfortable while keeping the windshield clear. NOTE: For improved safety, the A/C compressor is activated when "Mix" or "Defrost" modes are selected. This is done to assist in drying the air and it will help in keeping the windshield from fogging. The engine cooling system in air conditioned vehicles must be protected with a high-quality antifreeze coolant to provide proper corrosion protection and to protect against engine overheating. A 50% solution of ethylene glycol antifreeze coolant in water is recommended. The air from the heater system will heat faster in cold weather if you use lower blower speeds until the engine warms up. switch will indicate the defogger is on. The defogger will automatically turn off after about ten minutes. For five more minutes of operation, depress the top of the switch to turn the defogger on again. To prevent excessive battery drain use the defogger only when the engine is operating. Use care when washing the inside of the rear win­dow to prevent damage to heating elements. Use a soft cloth and a mild washing solution, wiping parallel to the heating elements. Also, keep all objects a safe distance from the window to prevent damaging the heating elements. To utilize the rear wiper, press the switch to the first detent. 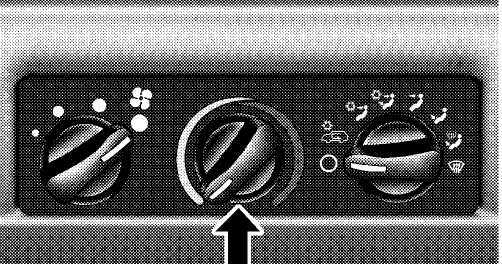 To activate the rear washer, depress the switch to the second detent. The washer will continue to spray as long as the switch is held. The switch will return to the wiper mode when released. To turn the rear wiper off, lift the bottom of the switch. The fluid reservoir for the windshield washers and the rear window washer is shared. It is located in the front of the engine compartment on the passenger side and should be checked for fluid level at regular intervals. Fill the reservoir with windshield washer solvent (not radia­tor antifreeze) and operate the system for a few seconds to flush out the residual water.